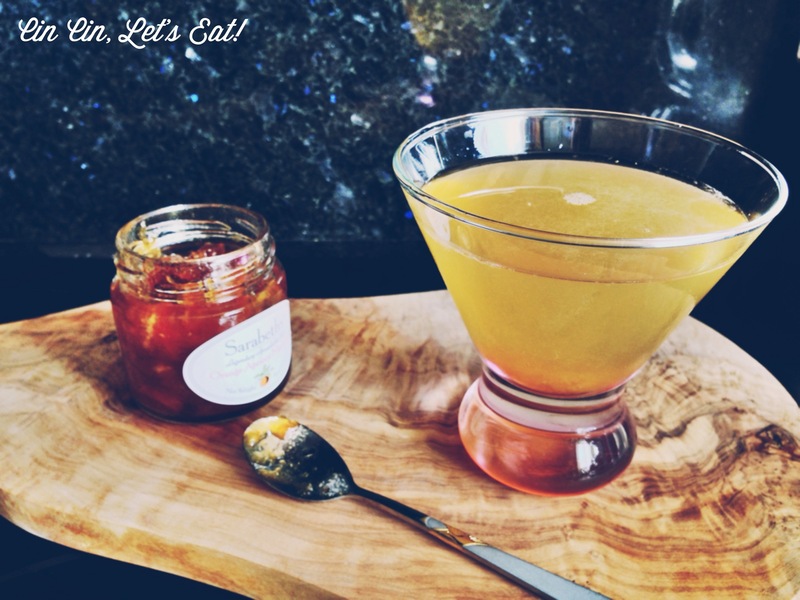 Marmalade Martini [recipe] – Cin Cin, Let's Eat! Recently jams and preserves have been making appearances on restaurants’ cocktail menus, and I think it’s a great way to add sweetness and more concentrated fruit flavors to the drinks. Here’s something that I mixed and shook up after a very long work day and obviously it’s a work in progress, like how it can benefit from adding another dimension of flavor, such as basil or raspberry. But overall it was a nice and sweet drink to sip on and unwind. Shake all the ingredients together with ice, strain into a martini glass. If the marmalade is too chunky, break it up first with the juice. I often use agave nectar in place of simple syrup. It is almost twice as sweet as simple syrup so use accordingly. This reminds me of a breakfast martini we saw in a book. I love this recipe! Thanks! Breakfast martini…I like that name. Suddenly drinking before noon is ok because it’s “breakfast” haha. What a cool drink! I’d never thought about using marmalade in a drink – it must have a great flavour!